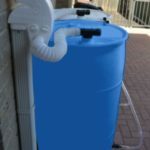 1000 litre / 275 gallon repurposed rain tank. 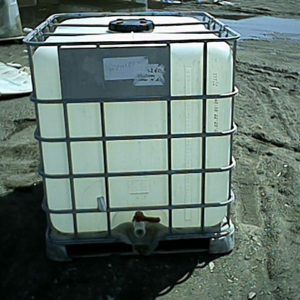 These used, food grade tanks are comprised of a galvanized metal frame with a pallet (metal, plastic or wood) and a plastic HDPE bottle. 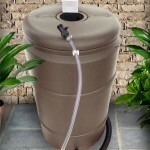 The rain tank has a 6, 8 or 12 inch top fill cap and a 2 inch bottom butterfly or ball valve. 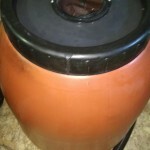 The tanks may or may not include a plastic cap with buttress or NPT thread for the bottom valve. If a valve cap is included, it can be drilled to accept our garden hose spigot assembly. A spigot assembly and 7/8 inch hole saw are not included. 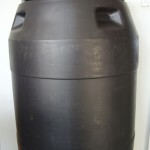 The dimensions are approximately 39 inches wide across the bottom valve, 47 inches deep and 48 inches tall and the tanks weigh approximately 75 lbs empty. Previous contents may include olive oil, fish oil, organic fertilizer or beverage concentrates and some residue may still remain inside. The residue, if any, will only enrich the soil. 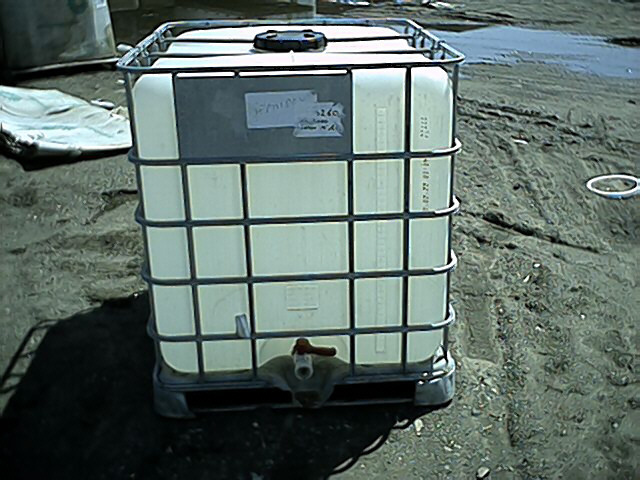 These tanks are not sold for potable water as we do not attempt to clean them thoroughly.